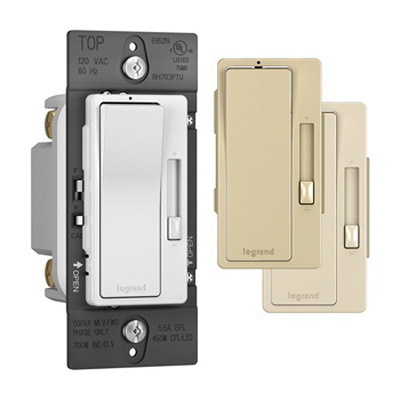 Pass & Seymour Radiant® 1-Pole 3-Way Tru-universal dimmer has voltage rating of 120-Volt AC at 60-Hz. Dimmer in white/ivory/light almond color, has preset paddle switch actuator that helps in controlling the brightness of the light. It has polycarbonate lexan. It has maximum load capacity of 700-Watts for incandescent/halogen/ELV, 500 VA for MLV, 450-Watts for LED/CFL and 5.5-Amps for EFL. 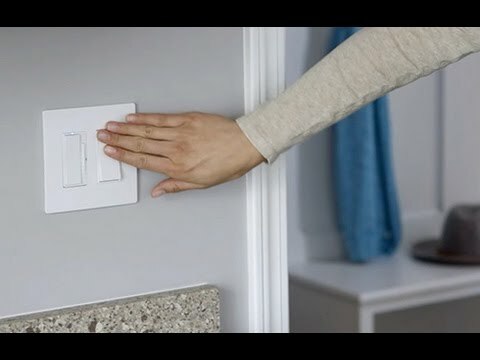 Wall box mountable dimmer measures 1.75-Inch x 1.25-Inch x 4.25-Inch. It is suitable for use in residential and commercial applications. Dimmer is cULus/UL and CSA certified.